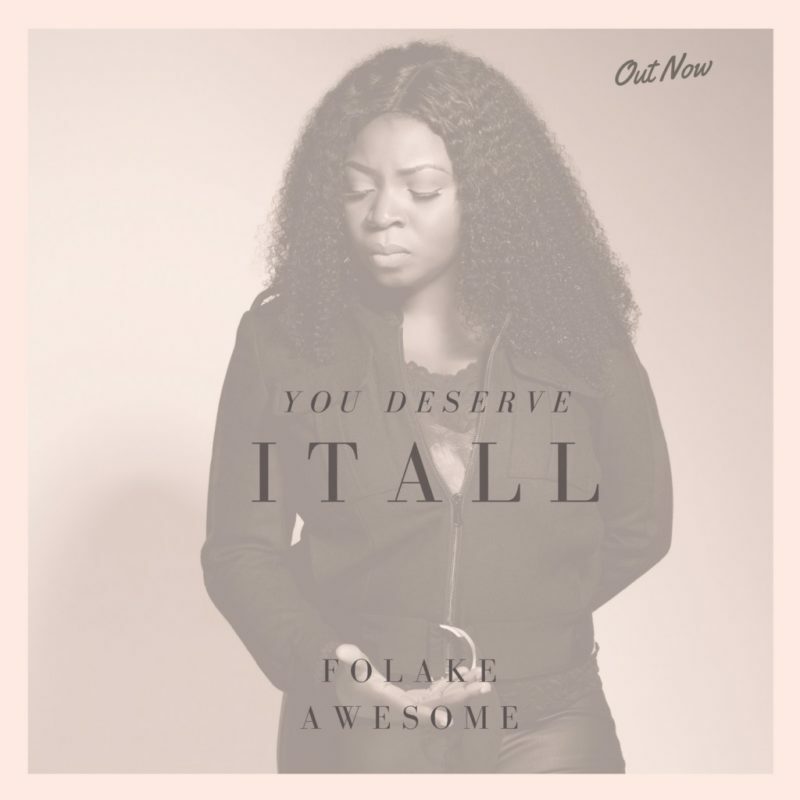 Folake Awesome – You Deserve It All. UK based urban gospel artiste, singer/songwriter, rapper & producer, Folake Awesome is back with a new song titled ”You Deserve It All”. ‘You Deserve It All’ is a proclamation of a dedication to worship notwithstanding of our challenges. ‘My wish is that as we worship, there would be a growing longing after God, that our lives may be a show of His goodness, mercy & faithfulness’. – Folake Awesome.